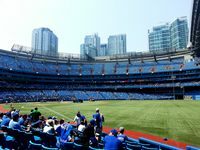 The need for a new major stadium for Toronto proved pressuring in early 1980s. While locals were getting wet, other cities in the US and Canada were getting domed stadia that were on the rise. 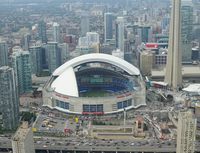 Special committee analyzing the feasibility of such stadium was created in 1983, while in 1985 already the best design was selected. Its strength was using conventional technologies to achieve the first such mobile roof. 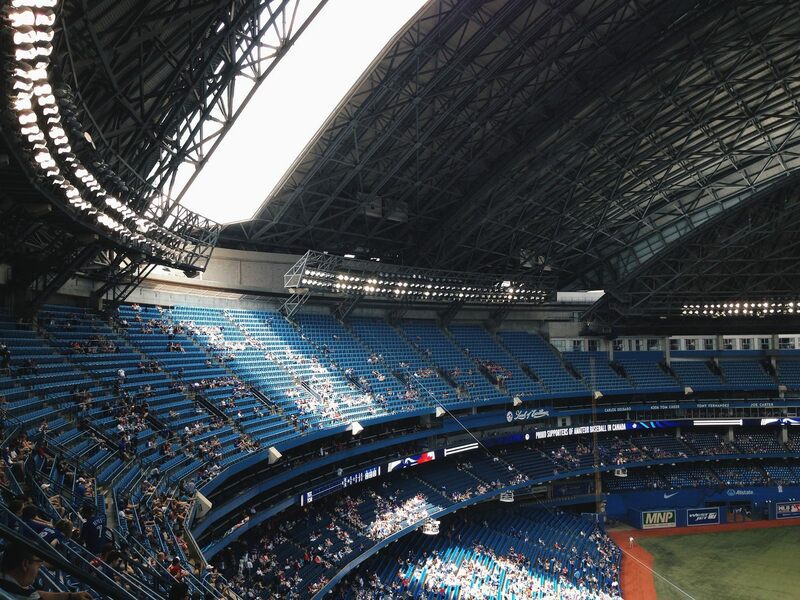 One segment was fixed and three others retractable. The two middle panels slide laterally to stack over the north semi-circular panel, and then the south semi-circular panel rotates around the stadium and nests inside the stack. 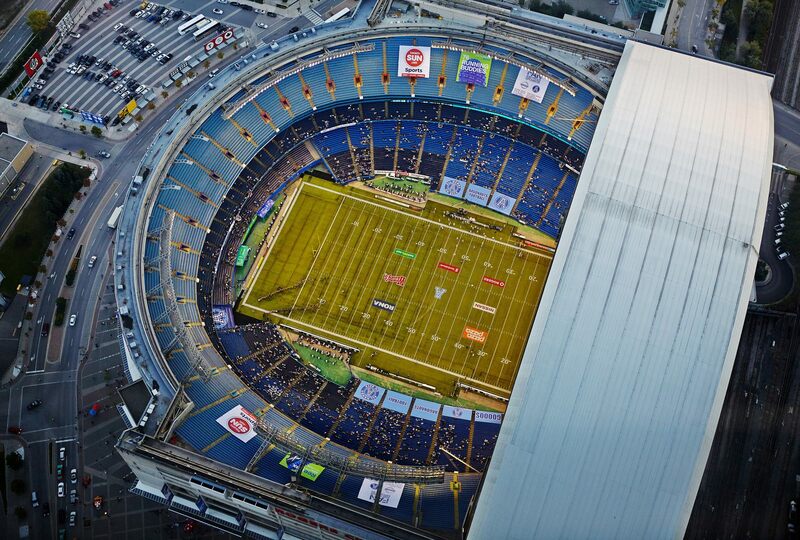 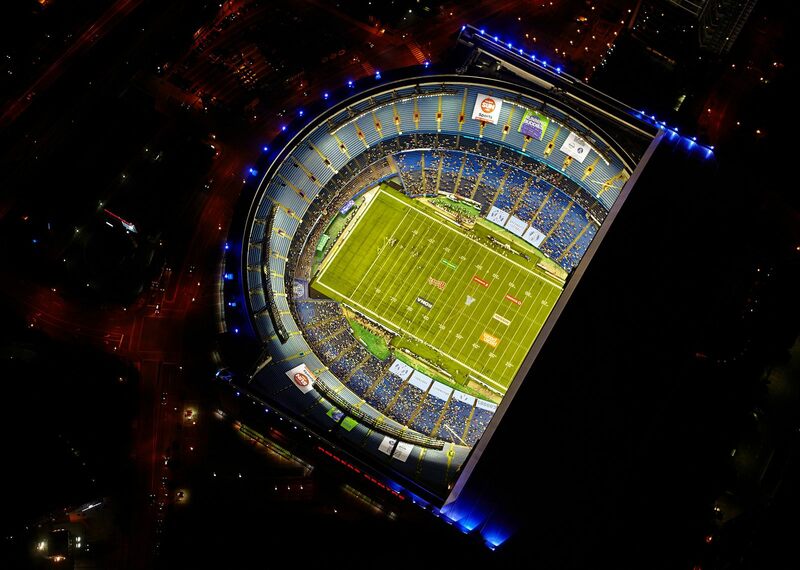 Interestingly, this choice proved very effective as today the stadium has the world’s oldest operating mobile roof. 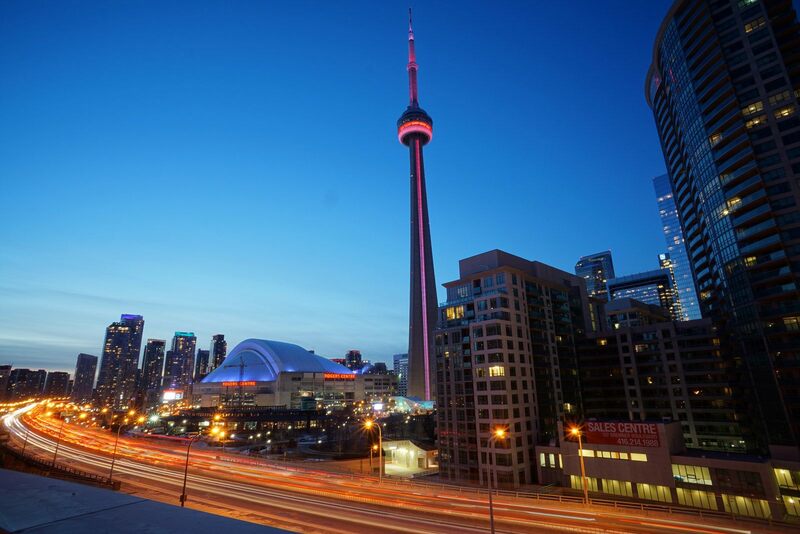 It was first used in 1989, when construction ended with a light, 2-month long delay. 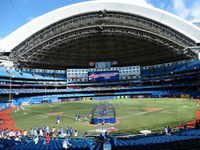 But it wasn’t the duration of works that raised controversy. 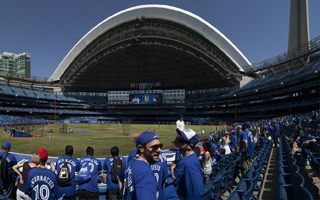 Its final price tag proved much more problematic, growing from initial estimates of $150 million to roughly $570 million. 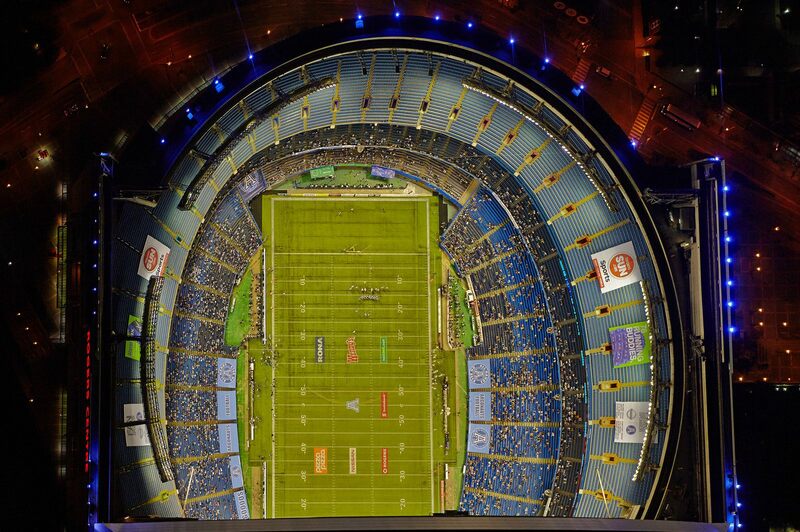 A significant increase was caused by late inclusion of a 348-room hotel which has 70 rooms overviewing the field. 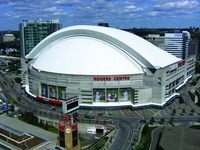 The cost was covered only partly by public authorities of federal, provincial and local level. 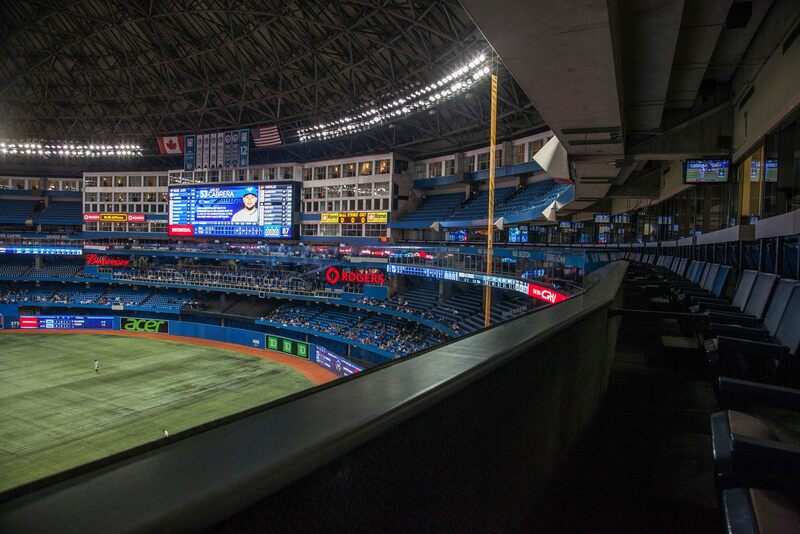 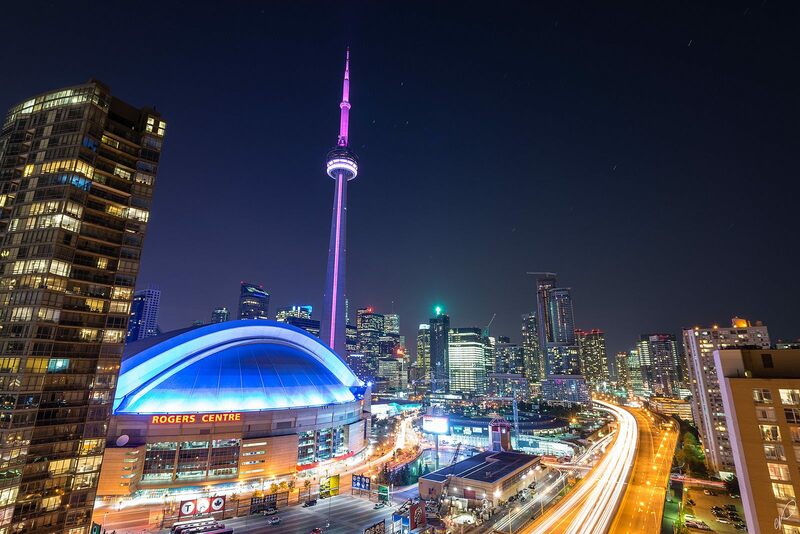 The remainder was paid for by 28 companies (including the baseball team Blue Jays), each contributing $5 million for a 10-year skybox lease and long-term marketing rights. 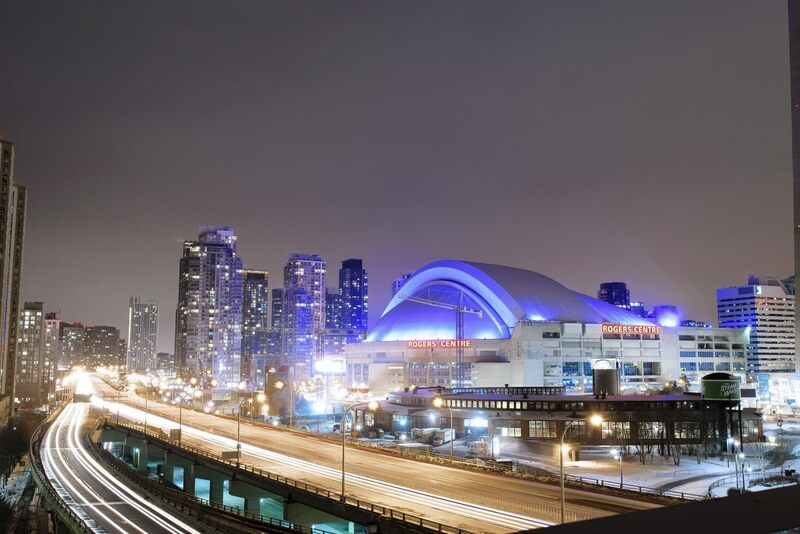 The rates were later questioned as very low, especially with the building running at a massive loss in its early years, well over $20 million. 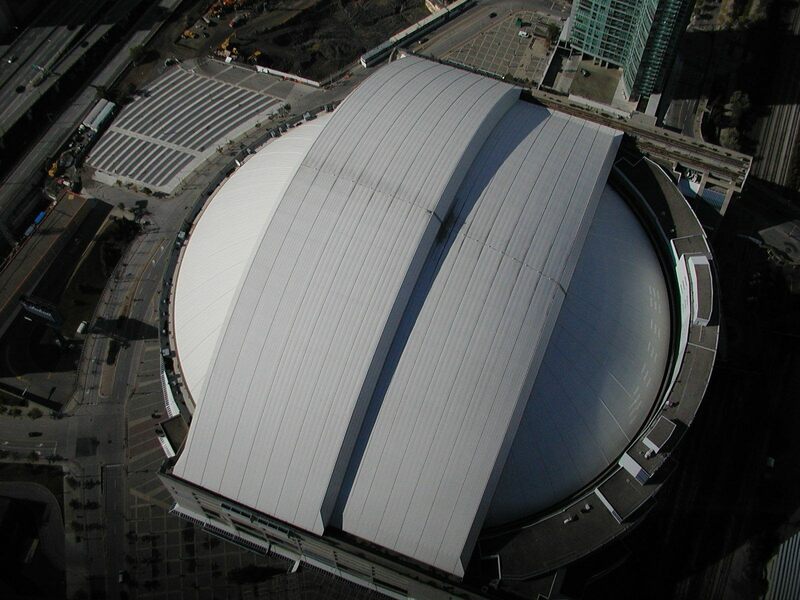 Its name wasn’t sold initially, instead it was subject to public vote, which returned SkyDome as the public’s and jury favourite. To this day many fans call it that way despite the building changing ownership and name in 2005, when Rogers Communications (Blue Jays owners) took over. 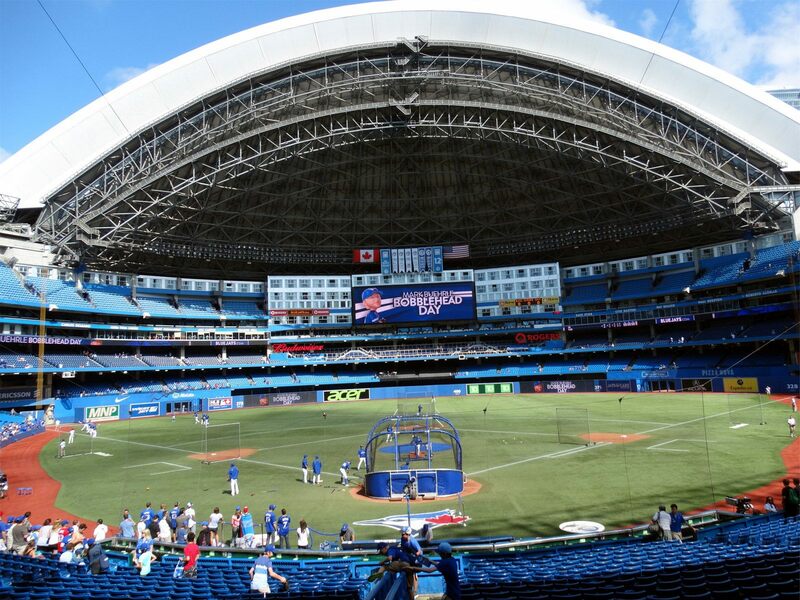 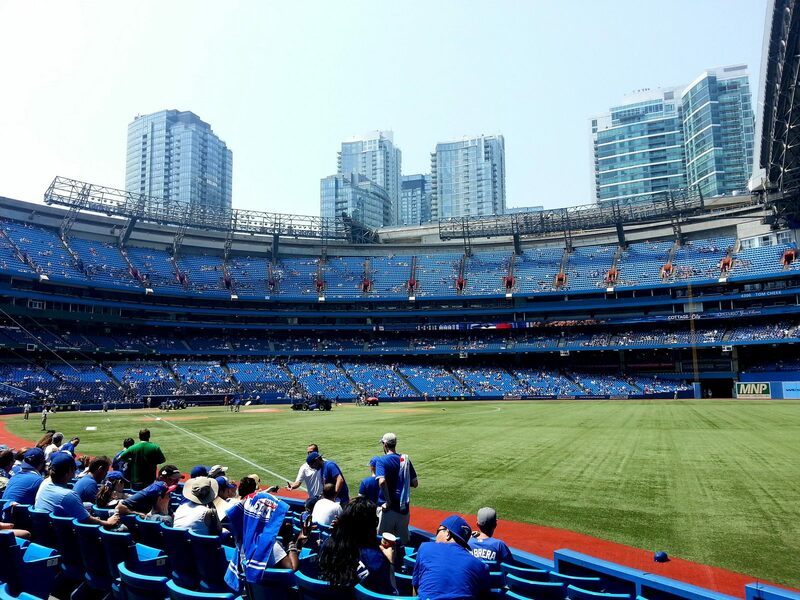 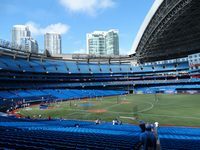 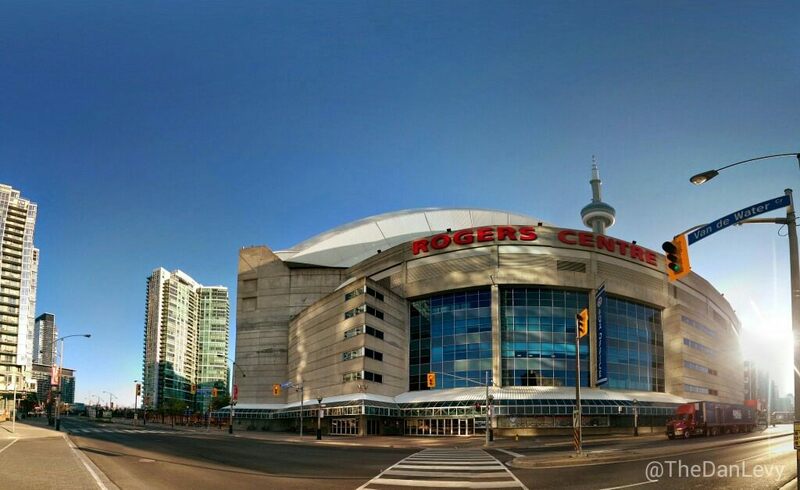 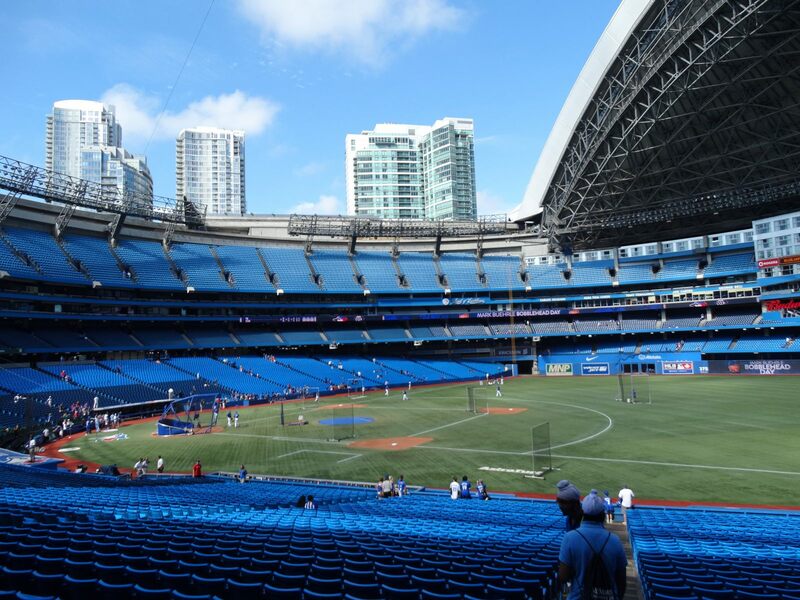 Blue Jays remain the key tenant of Rogers Centre, but the building proved suitable to host also Canadian, American and Association Football, all of which enjoyed many events over the years, both domestic and international.